(Ouricos do Mar) and where shellfish are still reared in tanks that can be seen at the bottom of the cliffs, Ericeira is home to one of the very few natural harbours between Cascais and Peniche. Because of this the small fishing village grew into a major port, with boats leaving to trade with countries as far away as Scotland and Brazil. 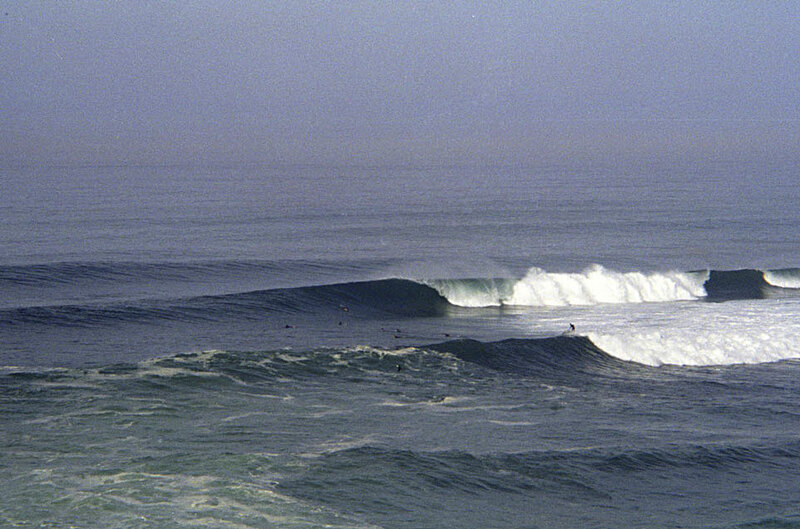 Lately it is the beaches that have been grabbing all the attention as a burgeoning surf culture increasingly focuses on the quality of Ericeira's many waves. Portugal's most famous surfer, Tiago Pires, hails from Ericeira, where there are more than 30 spots that offer good surf. One of these, the renowned beach of Praia da Ribheira d'Ilhas, 3Km north of the town, is now a regular stop on the ASP world surfing tour. In spite of a growing abundance of surf schools, surf shops and local shapers Ericeira has until recently managed to avoid the somewhat hectic atmosphere of the equally famous Peniche. In his guidebook, published in 1910, Baedeker described Ericeira as 'a fishing village with excellent sea-bathing'. In spite of burgeoning development this description still pretty much holds true today. The town's main beach, Praia do Sul, is often crowded and has less than perfect water quality due to it's proximity to the Porto de Pesca (fishing port), but numerous others such as Foz de Lizandro, two kilometers south of the main town and protected by a river that guarantees safe swimming no matter what the condition of the sea, are both unspoilt and uncrowded. 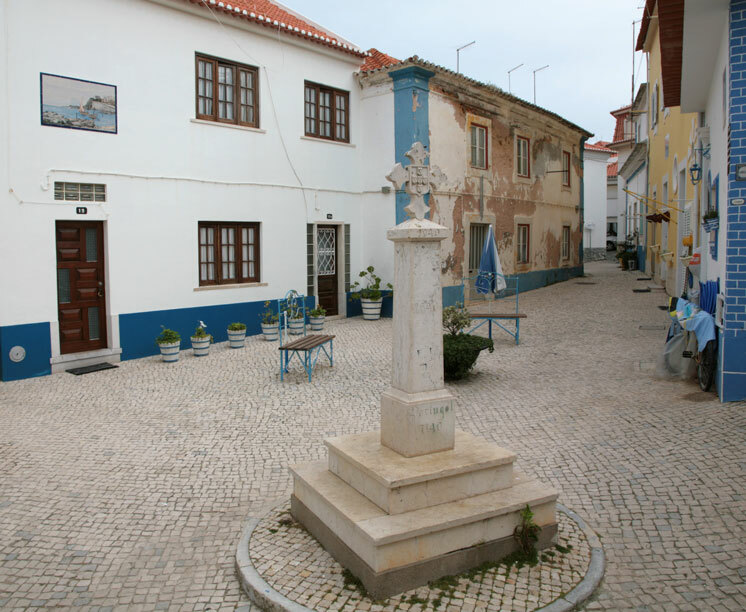 The best is probably at São Lourenco, a peaceful hamlet about five kilometers north of the town. 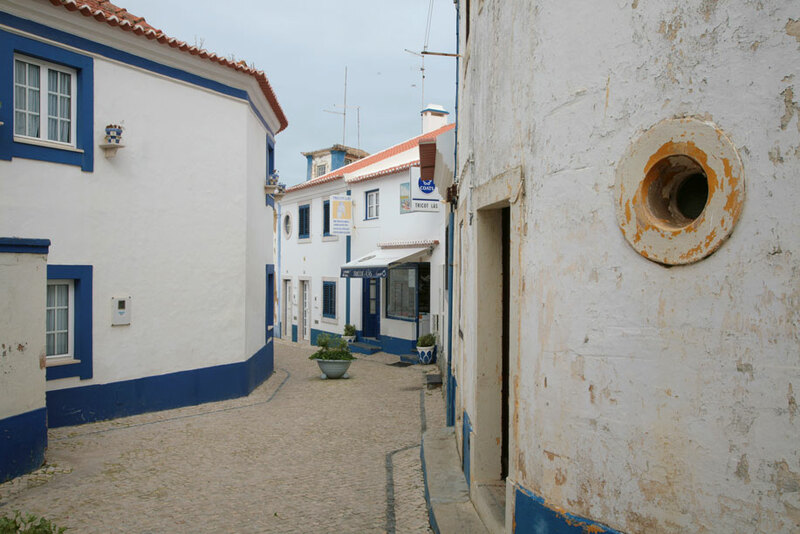 Ericeira itself is still a laid-back place of cobbled streets, grilled sardines, narrow lanes and whitewashed houses, although with Lisbon less than an hour's drive south (35Km). Ericeira's surprisingly good night life is well-served by weekend visitors. The main square, Praca da Republica, is lined with pavement cafes and cake shops, while the Rua Dr Eduardo Burnay, which leads from the main square to Praia do Sul, is full of bars and excellent seafood restaurants.